Both editors provide the features that I've mentioned above and are constantly improved. Sadly, I missed the opportunity to test and compare both editors during the free beta testing program. Many thanks to Marc Franzmeier for his hint to XEmacs. 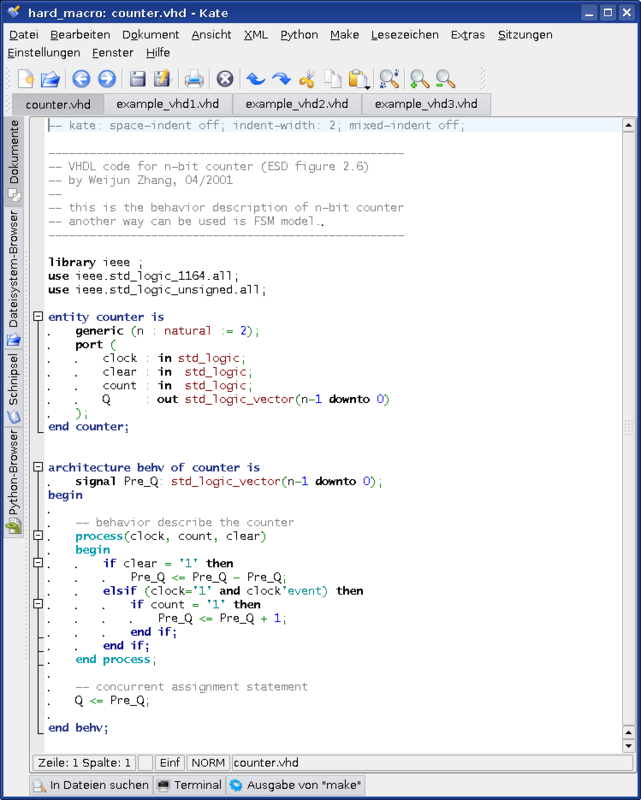 A useful overview about more VHDL tools and editors can be found on the websites of the TAMS group at the University of Hamburg. 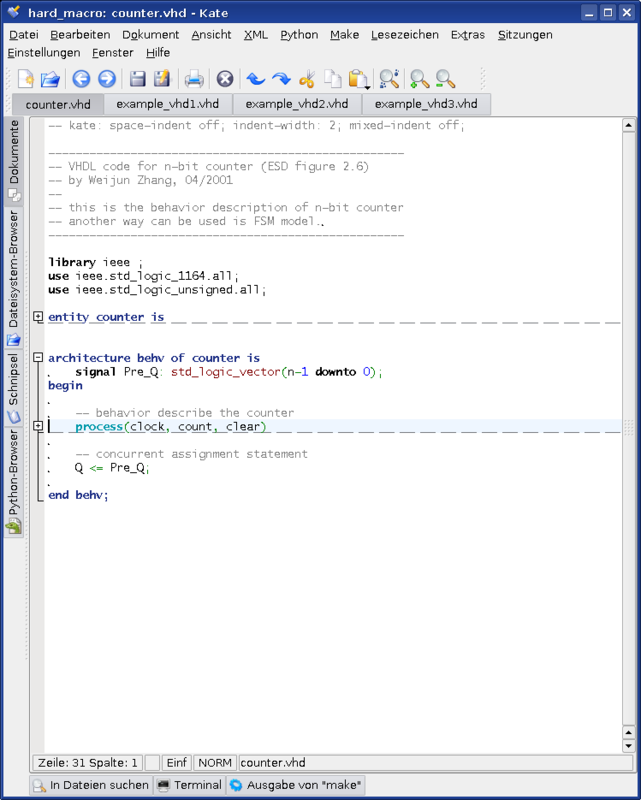 At the time I had to decide which VHDL editor I was going to use, I decided to use kate. There are several reasons for this decision. First of all, the commercial tools SimplifIDE and Sigasi HDT did not yet exist, and Emacs was a bit complicated in use (very hard to setup your favorite shortcuts, or learn completely new ones) and for my project I did not need certain features. 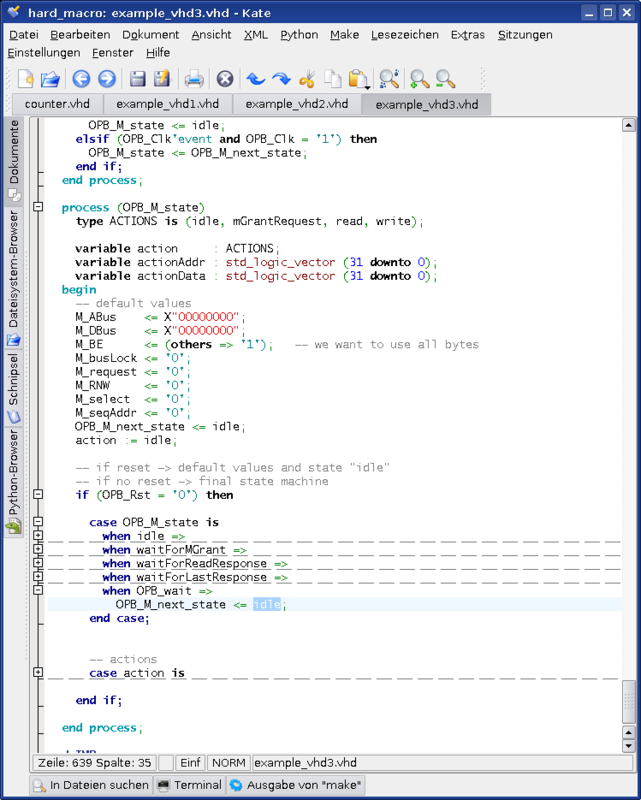 But compared to Xilinx' VHDL editor kate has already some very useful advantages, e.g. the code completion and the better performance. But to work with kate more efficiently some features had to be added, e.g. the functionality to collapse and expand blocks. This is not really a serious problem, because you just need to edit the syntax highlighting files of katepart and improve it as you wish. No sooner said than done. 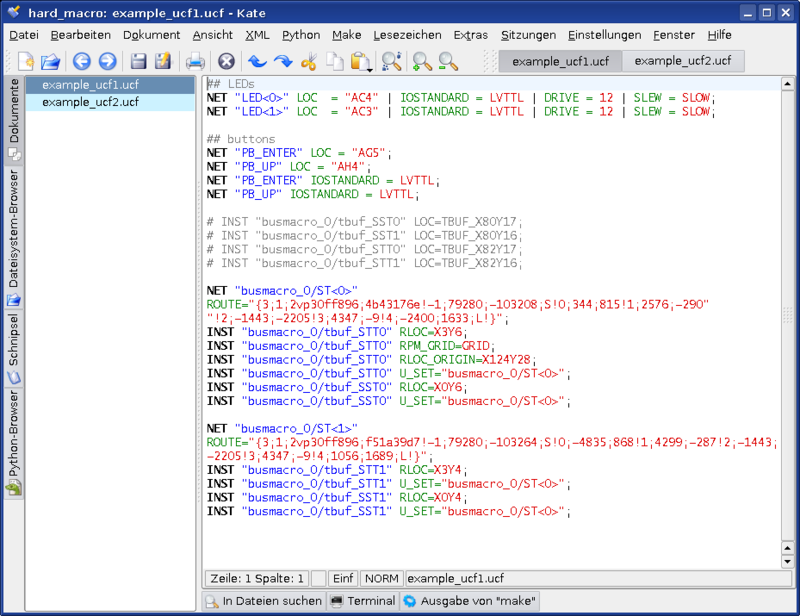 In the next section you can see the features of my adapted version of the vhdl.xml and download it if you like.